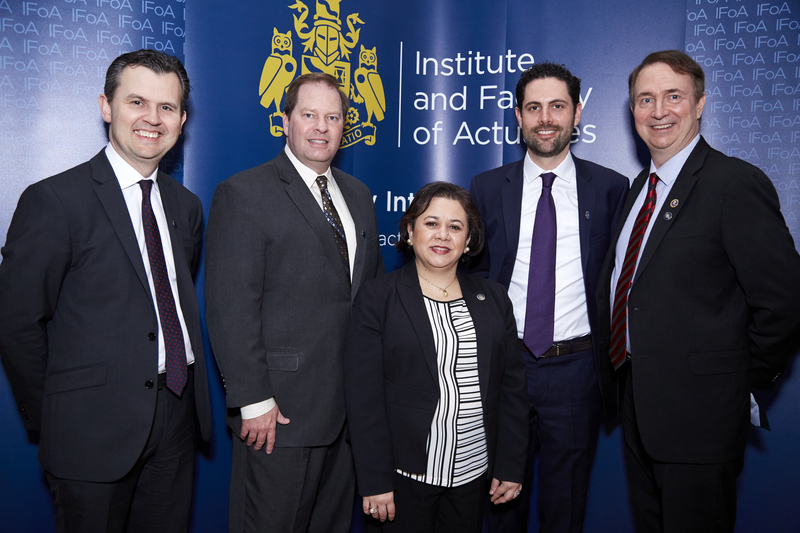 We are delighted to announce that the 2019 Hachemeister Prize has been awarded to the IFoA/CAS International Reinsurance Pricing Working Party (representatives from working party in right image), for their paper 'Analysing the Disconnect Between the Reinsurance Submission and Global Underwriters' Needs'. The Hachemeister prize was established in 1993 in recognition of Charles A. Hachemeister's many contributions to Actuarial Studies in Non­Life Insurance (ASTIN) and his efforts to establish a closer relationship between the CAS and ASTIN. The prize is awarded annually to ASTIn Bulletin or AFIR Colloquium paper(s) based on several criteria but with emphasis placed on the paper's impact for North American actuaries and its practicality of application. Members of the working party have been invited to present their prize-winning paper at the 2019 CAS Annual Meeting in Honolulu, Hawaii. For more information on the prize, visit the CAS website.